In order to understand how damages (the amount of money to which you are entitled) are calculated it is necessary to look back to the history of how the value of your claim was determined in years past. As many of you may have heard, the settlement offers made by insurance companies were determined by a “formula” of “three times the medical bills”. This “formula” came about decades ago when people who suffered relatively minor injuries would be seen by doctors who prescribed a period of treatment or physical therapy. After the patient recovered and the treatment was concluded attorneys would gather the medical bills and send them to the insurance company with a demand for settlement. As incredible as it may now seem, the insurance companies would often extend offers of settlement that were roughly three times the medical bills. They did so because, in theory, if the offer were in the area of three times the medical bills the attorney’s who charged a contingent fee of one-third of the recovery would then receive one-third of the settlement while the doctor would receive approximately one third and the client would recover the remaining third. Generally speaking the system worked so long as the medical bills were reasonable and the demands were not excessive. While many attorneys adhered to the practice of settling on this formula others soon realized that there was more money to be made by the questionable practice of increasing the medical bills. These lawyers soon found accomplices in the medical profession who were willing to render inflated bills for the treatment they provided. As this dubious practice became more widespread abuses were more frequent. As most people know, the minimum amount of liability insurance coverage that must be purchased in order to comply with California law is $15,000.00 per person and $30,000.00 per occurrence. These minimum policies of “15/30″ were common because they cost the least and complied with the law. Some attorneys chose to “game” the system by encouraging doctors to render bills greater than $5,000.00 so that they could apply pressure to insurance companies to make offers in settlement of their policy limits of $15,000.00. Needless to say, the participants all profited from this practice with the lawyers, doctors and injured parties each recovering more money from the larger settlement offers. Significantly, the law at the time subjected insurance companies to claims of “bad faith” should they fail to settle claims within their policy limits and it soon became common for lawyers to threaten and often file bad faith lawsuits against insurance companies. Rather than litigate the bad faith lawsuits some insurance companies simply chose to settle for their minimum policy limits. Predictably, this practice rewarded certain people with recoveries that were greater than they would otherwise be entitled to and soon cases were taken up to the appellate courts to test the continuing viability of subjecting insurance companies to “bad faith” for failing to make offers of their policy limits. Not surprisingly, a number of decisions were rendered by the Courts which ultimately concluded that the insurance carriers did not owe a duty of “good faith” to the injured parties but rather only to their own insureds. The result was that threatening insurance companies with bad faith soon lost its desired effect and the insurance companies began making offers that were for less than three times the medical bills and far less than their policy limits. As often occurs, the “cure” for this unsavory practice caused the pendulum to swing the other way. Insurance companies, now insulated from “bad faith” seized the opportunity to deny to injured parties reasonable compensation for their injuries and damages. In fact, many adopted the practice of making “nuisance value” offers on virtually all claims of “soft tissue” injuries, those where the injuries were limited to muscles, tendons, ligaments and other “soft tissues” and were typically not permanent or severe. As the majority of claims from automobile accidents involve neck and back injuries to the soft tissues, insurance carriers were encouraged to make offers that would not even cover the cost of the most appropriate treatment that was often required by the injured parties to recover from the injuries they sustained. Some carriers went so far as to implement computer programs that would evaluate claims electronically based upon software that, not surprisingly, would arrive at offers far below the values that experience would dictate were fair and reasonable. As well, by making offers that were, at best, unreasonably low and not sufficient to reimburse the injured for their medical bills, the insurance companies were sending a not too subtle message to the attorneys who represented the injured that future claims would not be dealt with fairly or in accordance with any appropriate standard. The message was clear, stop taking on the cases of injured people with soft tissue injuries or run the risk of either settling for nuisance value or being required to file lawsuits on claims that did not merit nor warrant litigation. As often occurs when abuses are exposed and dealt with in a blanket and often mindless fashion, many who have suffered significant but not severe injuries have found themselves searching for representation.  While many attorneys have been forced out of the personal injury practice due to declining incomes from these soft tissue cases, those who continue to represent the injured are facing challenging times borne of the empowered insurance companies who can now make bad faith offers with relative impunity. Of course, the real victims are those injured through the negligence of others who sustain injuries, loss of earnings and other damages and cannot obtain fair offers from insurance companies. Insurers would rather force the injured to file lawsuits to obtain fair compensation in hopes that they will not be able to find lawyers to handle their cases. The alternative, accepting offers that do not fairly compensate the injured or walk away without any recovery at all. The current state of affairs is challenging for injured people and the lawyers who represent them. While the amount of property damage to the vehicles is indeed some indication of the injuries that might have been sustained, it is by no means determinative. I have seen countless cases of serious injuries to those whose vehicles did not sustain extensive damage and, conversely, have seen severe impacts with minimal injuries to the occupants. The lesson to be learned is that, first and foremost, there is no “formula” or “calculator” to rely upon in evaluating personal injury cases. Just as each individual is unique and some are more susceptible to injury than others, each case is unique and must be evaluated not by a computer or an insurance adjuster but rather by an attorney with extensive experience in representing injured people. A qualified attorney can marshal the evidence and document the injuries through appropriate medical care and treatment and if necessary with referral to qualified experts in various fields associated with verifying the claims of those injured in accidents of all types. As is often the case, sometimes the “baby is thrown out with the bath water” and those with legitimate claims have suffered from the past abuses of those who sought to profit from a system that was intended to compensate the injured and not reward the opportunists. More than ever, conscientious lawyers with the background, training and experience must be sought out by those who have suffered injuries as there are no “formulas” or “calculators” that will either determine the amount of compensation nor protect the rights of victims. As always, it is recommended that those injured in accidents contact a lawyer before they speak to an insurance company theirs or the other party’s. Lawyers who represent injured people do so on a contingency fee basis in which no fee is charged if no recovery is obtained. Most lawyers will consult with victims without charge and will often provide advice and counsel that will insure that the injured do not compromise their rights to compensation by speaking with insurance companies whose only interest is to minimize the recovery of those suffering injuries or deny them any recovery at all. As always, an attorney should be selected based either on a referral from a friend or trusted adviser or after a review of an attorneys background and experience in representing injured people. Most people would not undergo surgery by a doctor who advertises his or her services on television or radio. Selecting an attorney based upon an advertisement or a catchy phone number is just as ill advised. There is no substitute for qualifications that have been earned over many years of representing injured people. Ron's former clients and other attorneys are his best source of new cases. Our office has been obtaining outstanding recoveries for our clients for over 25 years. After an accident where injuries occur, you should speak to an attorney before talking with any insurance company, yours or theirs! You should review your insurance policy to make sure that you have adequate coverage for your changed circumstances. Review your automobile insurance and make sure that you have uninsured motorist coverage in a significant amount. It is a very valuable coverage and costs less than you would think. Personal injury attorneys should not charge any fees for consultation and will only charge a fee when a successful outcome is obtained. © 2018 THE LAW OFFICES OF RONALD M. PAPELL. ALL RIGHTS RESERVED.